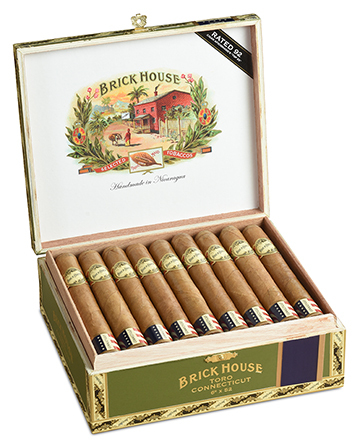 The original Brick House cigars by J.C. Newman were Cuban puros, handmade with the finest Havana tobaccos. Third-generation cigar makers Eric and Bobby Newman have recreated this vintage cigar brand by blending specially aged Nicaraguan tobaccos with hearty Havana Subido wrapper leaves to match the rich, well-balanced flavor of their grandfather's Brick House cigars. Beautifully handmade in Nicaragua, these flavorful Brick House cigars start out earthy and crisp, yet have a distinctive flavor. As you experience the cool, even burn of this medium- to full-bodied cigar, it builds into a well-rounded smooth taste with hints of oak and maple syrup. Brick House Connecticut cigars are the third blend in the highly rated, budget-friendly Brick House lineup. Responding to its customers' demands for a shade-grown wrapper, J.C. Newman Cigar Company doubled down and crafted a Brick House with both a Connecticut shade-grown wrapper and broadleaf binder, while the long filler tobaccos are Nicaraguan. This mild to medium-bodied hand rolled cigar shares very spicy and peppery rich flavor with notes of cream, nuttiness, and cedar. 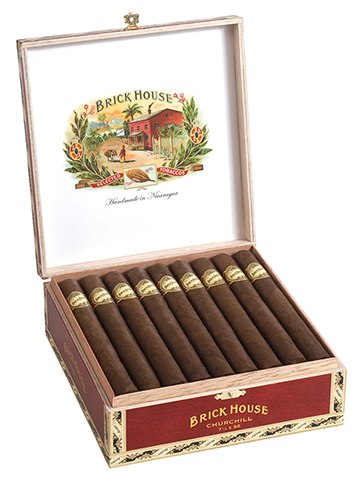 Brick House Maduro is the second blend introduced by J.C. Newman Cigar Co. under the Brick House brand. 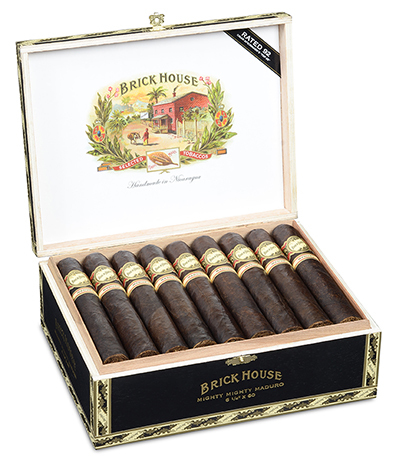 Brick House Maduros are medium- to full-bodied, dark and delicious cigars with a Brazilian Arapiraca Maduro wrapper covering a Nicaraguan binder and long filler tobaccos. These hand rolled cigars are well constructed, wallet-friendly and very flavorful with tasty notes of chocolate, coffee, spice, and sweetness.